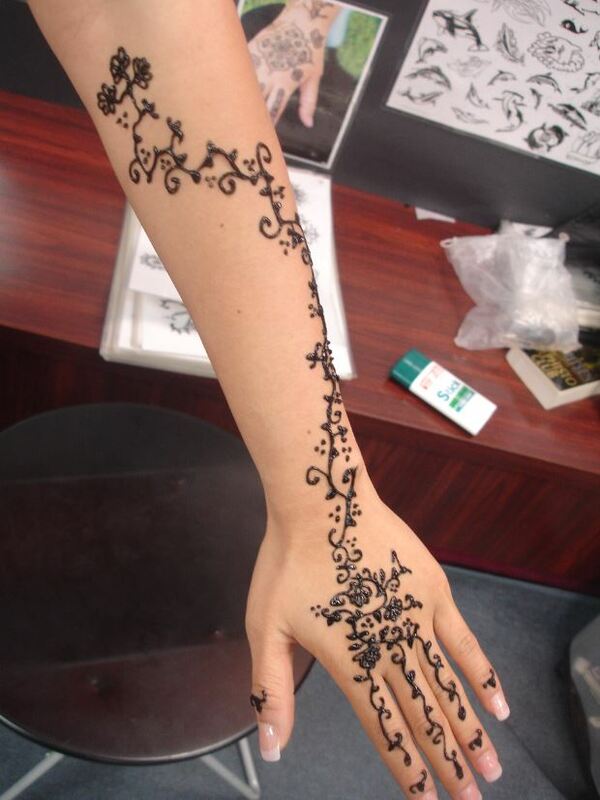 Mehendi (Henna Tattoo, also known as Mehndi) is an ancient Indian Body Art. It is used in creating intricate ethnic or contemporary designs and exotic patterns on various parts of the body, though traditionally applied to the hands and feet of women preparing for special ceremonies. It is completely natural, non-permanent and painless. Once thought only for women, men are finding it a nice alternative to permanent tattoos.